Let’s see how Microsoft fixed all these disadvantages in Universal Windows Platform. 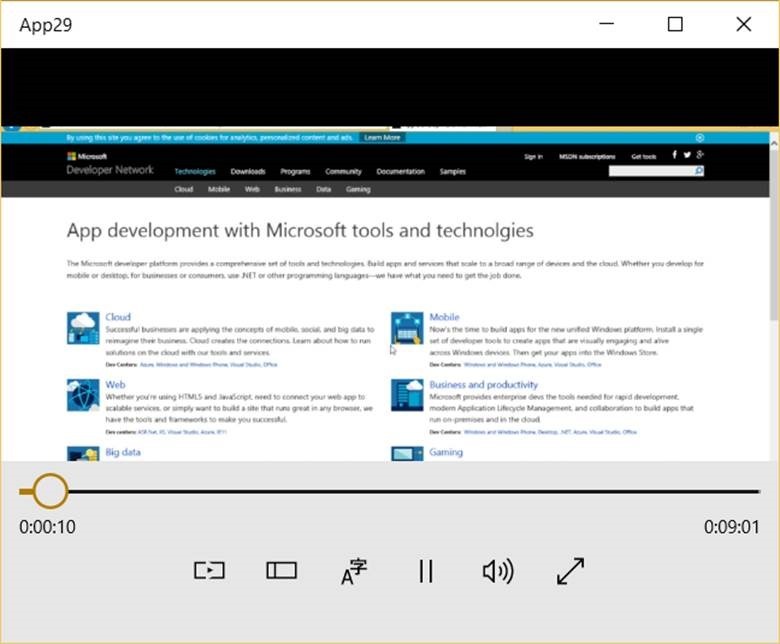 HTTP Live Streaming (HLS), Dynamic Adaptive Streaming over HTTP (DASH) and Microsoft Smooth Streaming are the most popular technologies for adaptive streaming. New MediaElement control supports all of them. If you want to test how it works it’s better to use Azure account (you can use trial) and create Media Service instance there. 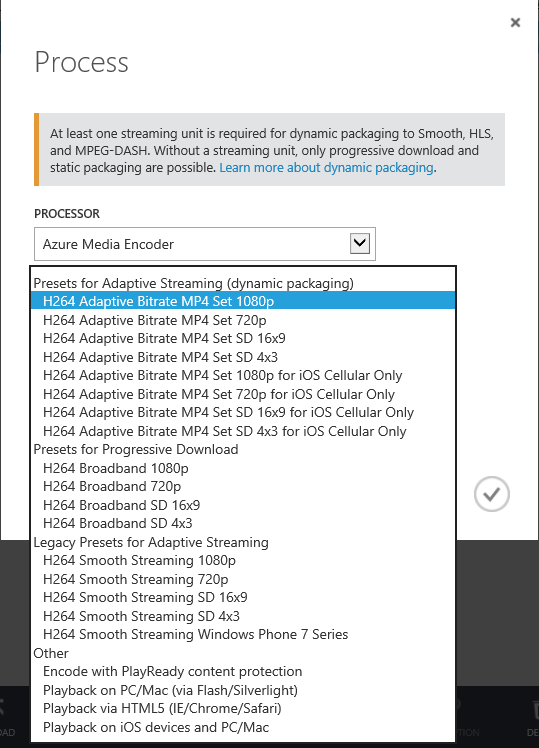 Media Service supports dynamic packaging, so you can upload your video there and encode it using one of profiles which are ready for adaptive streaming. Pay special attention that you need to create at least one streaming unit. Once video is encoded, thanks to dynamic packaging, you can stream it using any format that I mentioned previously (HLS, Dash, Smooth). You can see that we use TimedTextSource class to create source based on file with captions. In order to associate the captions with media source we used MediaSource class and MediaPlaybackItem class to prepare source for MediaElement. Starting with Windows 10 the MediaTransportControls class has its own states and a template according to modern design. It allows to change anything there by modifying the existing XAML template. So you should not create buttons from scratch, implement logic etc. There are three ways to get existing template for MediaTransportControl: visit MSDN, find generic.xaml file on your computer or use Blend. Because I have written this post before release of Windows 10 SDK there was no information on MSDN but I hope that you can find it right after release. Generic.xaml file you can find using the following path C:\Program Files (x86)\Windows Kits\10\DesignTime\CommonConfiguration\Neutral\UAP\10.0.10069.0\Generic. 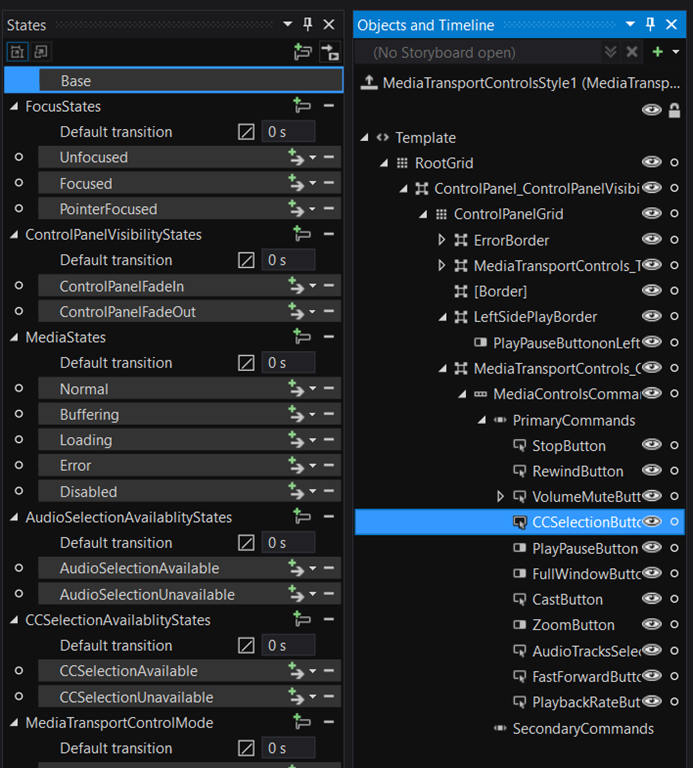 Just open generic.xaml and find template for MediaTransportControls there. Finally, you can extract template using Blend tool. I would like recommend this way because it’s easy not just to create copy of template but to modify it as well. 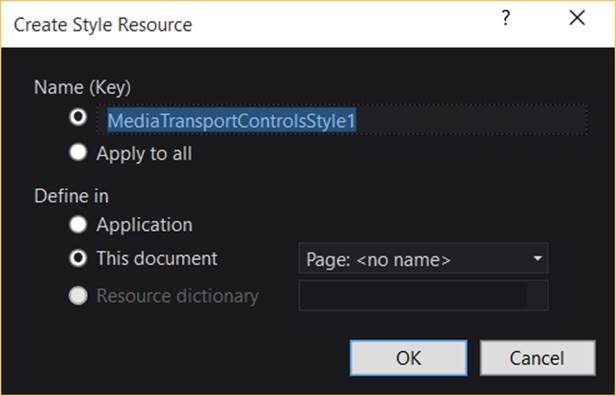 In order to extract template for MediaTransportControls you need to create a new project (or open existing) in Blend and add MediaTransportControls to a page. 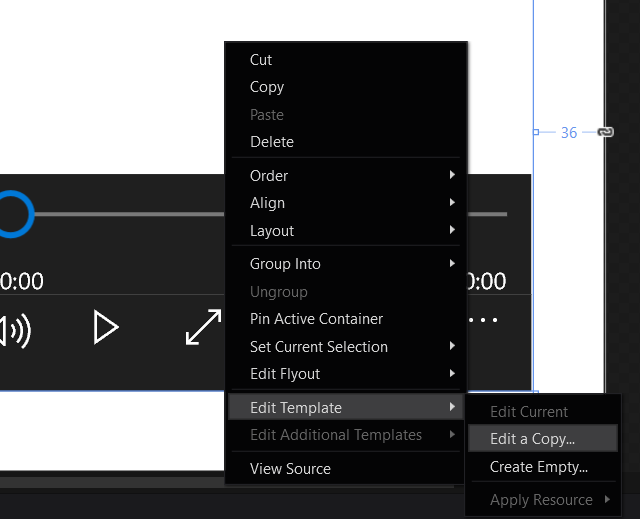 Using context menu select Edit Template -> Edit a Copy menu item. Blend will propose to select location and name for new style. So, select it and click OK.